Colin Horgan is from County Kerry in Ireland. But his reach is global. Horgan is one for performance pieces—imposing in structure and sturdy in fabrication. He’s attracted the singer and Academy Award-contender Lady Gaga. 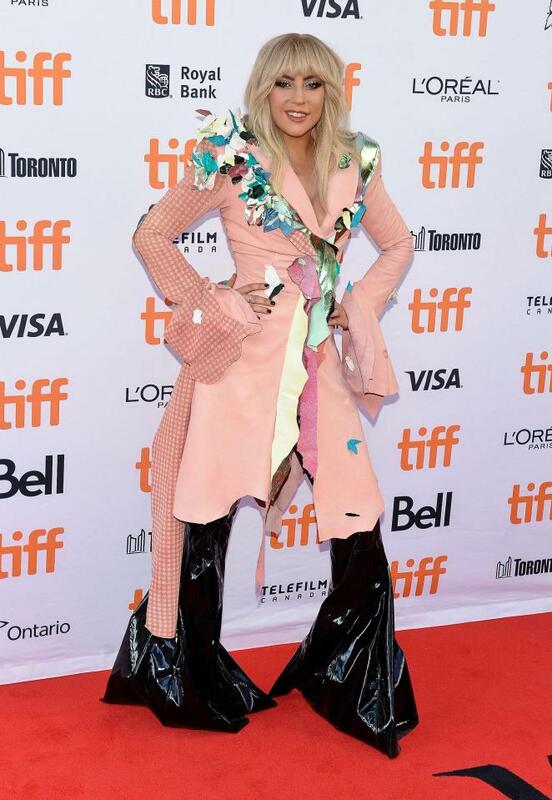 She wore a piece from his graduate collection to the Gaga: Five Foot Two premiere at the 2017 Toronto International Film Festival. “To have these artists behind you is a great stamp of approval,” said Horgan Moreover, Horgan counts musician Arca as a fan. However, that’s not to cast aspersions at his work. It’s rather artful. It calls to mind the work of John Chamberlain, the American contemporary artist who created a series of ‘car crash’ sculptures. In essence, they’re provocative, eliciting a shocked response to the violent connotations. Judging on his architectural sculpturing, there’s a master tailor within Horgan. For now, he’s capturing the hearts of entertainers with his elaborate costume-style work. It’ll be intriguing to watch as he fleshes out his ideas in forthcoming shows. What will become of a doyen of extravagant performance-wear? 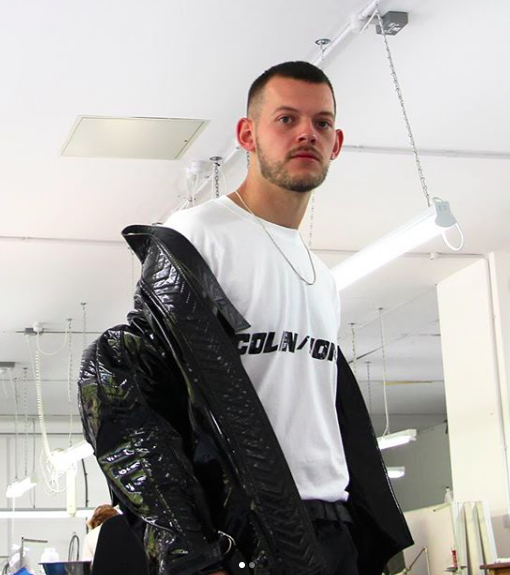 Ahead of his show, I chatted to Horgan about his collection, Lady Gaga, and being an Irish person making it in a big city. Congratulations on joining LFW. How does it feel to be joining the schedule? It’s definitely crept up on me very fast. I remember being offered it in early March thinking that I had lots of time to do work but actually by the time you research and do a lot of fabrication tests four months later I only started to actually develop the collection. It’s an amazing, exciting, nerve-wracking feeling. I’m both ecstatic and anxious as this is really the first time I’m introducing myself to London after the Royal College of Art graduate fashion show in 2017. I’ve been very lucky to have received incredible support both from Lee Lapthorne, his team at ON/OFF and also Maja Mehle at Royal College Of Art. 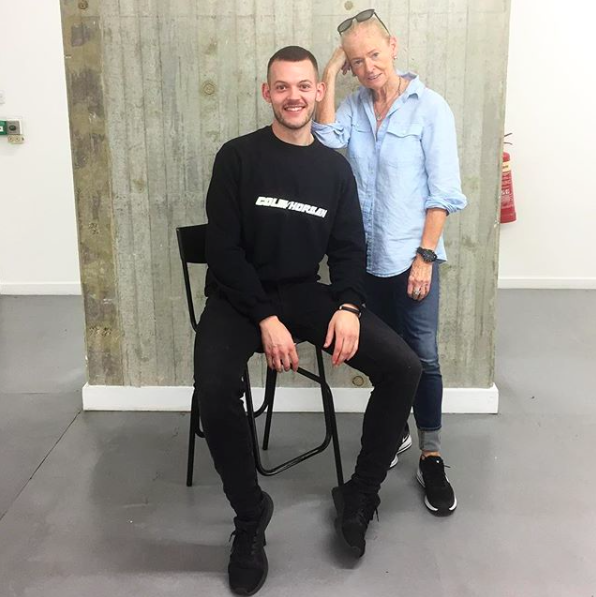 Without all the fashion staff at RCA I wouldn’t have had all a studio during the lead up to the show so I’m extremely grateful to have this opportunity and have definitely maximised this important moment in the lead up to September. What is the SS19 collection about? This season is a small bit of a continuation of the same woman as last season. The basic concept is about a woman on her way home from the night before, taking you through personal intimate wardrobe changes to go back out again. I guess when you see the collection the whole point was that actually what she arrived home with was perfect enough to go back out in – she herself knew this but taking a viewer into her personal space is quite an attractive thing for a dangerous woman to do. The clothing is a little bit lighter in weight but I’ve been experimenting a lot this season with refining the technique I was working on while at RCA. To a degree, I have in some aspect commercialised it for people to access it but to be honest I think there will always be two lines within my brand running together. You’re an avid music fan. Does music influence the design process? Absolutely. Music acts as a vessel for me to engage with everything that surrounds the garment. You can’t see it but you can get in instant feeling which with a garment can support an elevation of some sort. I’ve also been hugely into music that takes you away, and I guess I would love that to happen to someone in my clothes. Having this sense of transportation not just literally but taking you away from what you felt before to beyond is my ultimate goal. 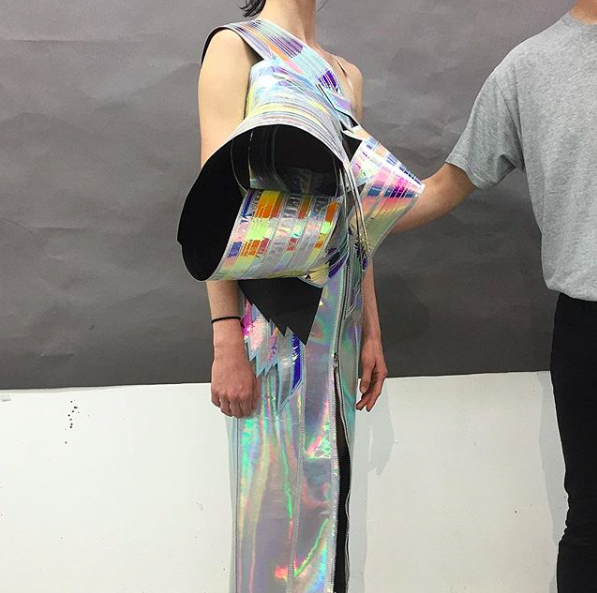 Lady Gaga and Arca are known fans of your designs. What has their support meant for your business? It has been incredible. To have these artists behind you is a great stamp of approval. I’ve been following these artists for years and to have them actually being transported through their performances was definitely something I’ll never forget. I do love working with musicians and I think the ‘Drivethru’ concept has been a great way for upcoming and establishing artists to each be able to access some of my more elaborate work. I guess it’s the start of my journey but I have some very exciting collaborations happening. 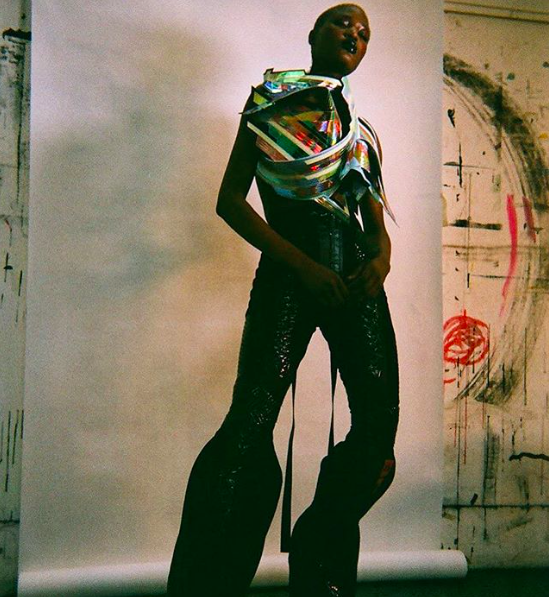 No doubt after SS19 production it will be straight into AW19! I can’t wait. This has been my dream and without the incredible support from my family and friends who pushed me in every way I wouldn’t be where I am now.